Time for some grilling my friends! Grilling is an all year long event in our home, no weather can stop us, but some for some it only happen in the summer. So why not take advantage of our wonderful citrus friends and grill on with it? Brian says I will put lime on anything, really anything, and he is probably right. I LOVE lime a lot. I drench my tacos, salads, fruit, desserts, chicken, beef, you name it, if it sounds good with lime, it probably IS good with lime. So squeeze on people, it is good for you too! Lime is said to have many good traits and health treats in them too! Lets face it lime chicken just sounds refreshing, healthy, and delicious, especially if you add some olive oil to the mix, you are good to go. And grilling can be fun, relaxing, and a good time to include your family and friends in the cooking mix. Easy, breezy lime chicken, a citrus change to your normal grilled chicken. 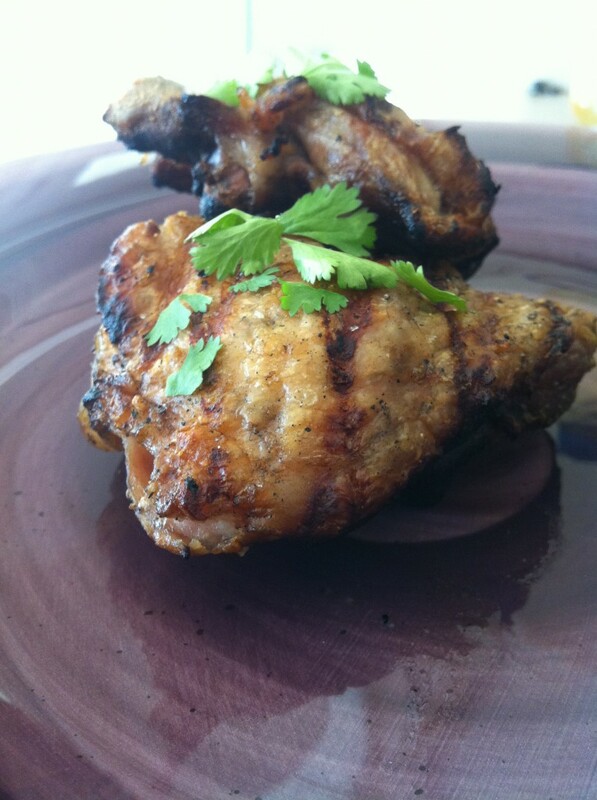 I used thighs, they are my favorite, a little white meat and a little dark, good balance of the two. Plus you cannot beat the price of these tasty little treats at the market. But you are welcome to use any cut of the chicken, you can even use a whole chicken. But I think the lime has a better chance to shine if it is a smaller cut. And another thing, I use Mexican limes. I like the flavor of them, they pack more of a punch, and lets face it, the smell is like home to me. But any limes will work here, just adjust the amount of lime for the amount of juice needed. lime zest- just zest all the lime you have! 1. Prepare the brine- Add the lime juice, garlic, sugar, water, salt, pepper, cumin, and chicken in a plastic bag, or covered container. Make sure the chicken is submerged all of the way. Depending on the size of the pieces, you may need to add more water to cover them. 2. Brine for 4 hours minimum and 24 maximum. 3. Prepare you grill or BBQ by brushing the grates with olive oil. I do this with a brush, but you can also use a paper towel and tongs. Do this to ensure your chicken will not stick to the grates. 4. When your grill is HOT place the chicken on the hottest part of the grill skin side down to ensure crispy yummy skin. Cook for about 10 minutes, depending on the heat of the grill, until the skin is crispy and brown, not burnt. Lower the heat to medium, close the grill and cook for 30 minutes. If you are using a charcoal grill place the chicken on the outer edges where it will get heat but not burn to a crisp. Cover and cook for 30 minutes. 5. Turn the chicken and cook for about 15-30, again it depends on the grill. Cook until the internal temp is 170, but 165 if you did not use thighs. 6. Feel free to re-sear the skin side at this point. I usually do just to get the crispy skin right before I eat it! 7. Allow the chicken to rest for 5 minutes before hacking away at it to ensure the juices stay in the meat.